There are thousands (possibly millions?) of gift guides out there, so I hesitated adding to the noise. But, there is a bit of a difference between my guide and a lot of the others out there....essentially, I have no stake in this. No sponsors. No affiliate links. Just honest recommendations of things I know and love, with links to where you can find them (hopefully in time for Christmas). For the foodie or kitchen newbie in your life, these would make great gifts! Grating cheese is always a bit of an annoying, messy task. And if you're like me, and you're too cheap to buy pre-grated (and I don't love that it's all coated in cellulose....not that it's unsafe, just seems unnecessary)...this is the best grater I have ever owned. The little container does a great job of containing the mess and it has rubber feet, so it doesn't slide all over the place as you grate it. There's also a lid, so you can grate your cheese in advance and just store it in the fridge. I've had my Chosigt grater over five years and I would absolutely recommend it to anyone. Another gem from Ikea. I've gone through a whack load of garlic presses. I really like garlic and I don't really like chopping it up, so a garlic press is one of my favourite things. I like this garlic press in particular because it is all metal and you get great leverage with it. You know those presses with the squishy handles? That squishiness means that you have to use much greater force to crush garlic. This is easy-ish to clean (as far as garlic presses go) and would make a great stocking stuffer for anyone who cooks. No joke, I use my microplane almost every day. I've had it for years and it is still just as amazingly awesome as the day I got it. I use it mostly for parmesan cheese and zesting citrus, but it's also great for creating delicate shavings of chocolate, grating nutmeg (or other hard spices). If you buy a lot of blocks of parmesan, this will pay for itself in a month or two - the fine, fine shavings mean that you end up using a lot less cheese, but maximizing your enjoyment because the tiny little layers create more surface area out of the cheese (rather than big chunky shards). You also get more bang for your buck with zest because again, the fine, fine zest that is created maximizes the citrus flavour. You can get these tons of places, but they are generally under $20. While there are tons of great recipes available online, I still think that there is a place in the kitchen for a few specially curated cookbooks. 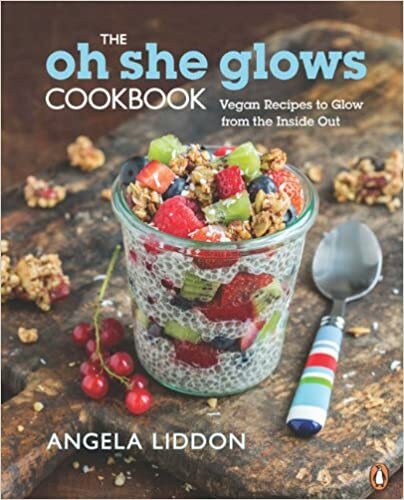 Oh She Glows is one of my favourites - the recipes taste fantastic, and give you a nice variety of vegan options. I am obsessed with the salt and vinegar chickpeas (seriously the best snack ever), the glow bars (best homemade granola bars I've ever had) and the channa masala (super easy and quick). 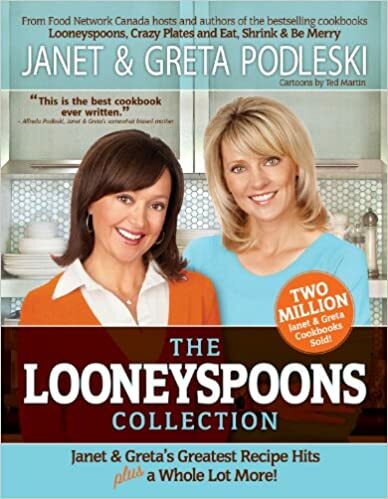 This is a great addition to any cookbook collection. This is the other cookbook that I like to recommend, and it's also one of my favourites. This is a great first cookbook for anyone - there is a wide variety of recipes inspired from flavours around the globe, and an emphasis on pretty healthy cooking. The jokes are corny, but the book is really well done, and I've loved almost everything I've tried from it. I also like that this book is Canadian (like OSG as well! ), because it means that it's generally pretty easy to find most of the ingredients. 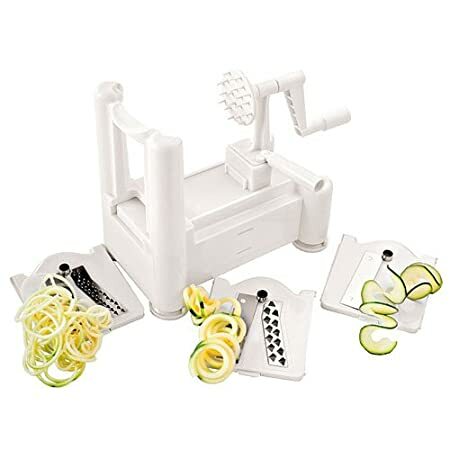 Today, the spiralizer is coming up as $24.99 for me on Amazon.ca, but the price tends to fluctuate...but this is a really fun tool. I've had my spiralizer for a couple of years and I get a pretty good amount of use out of it. I don't spiralize everything, but there are a number of things that spiralize really, really well. I love spiralizing potatoes, sweet potatoes and zucchini, though if you check out the Inspiralized blog, there are tons of other things that can be spiralized. It's a fun way to serve vegetables and while it is a tiny bit of a one-trick pony, I totally love mine. If you are short on space, the one and only gadget I think you should buy is an immersion blender. It doesn't take up a lot of space, and a model like this with a few gadgety attachments can take care of a lot of small tasks - you can blend soups with the blender itself (or blend salad dressings, etc.). With the whisk attachment, you can easy whip cream or egg whites. 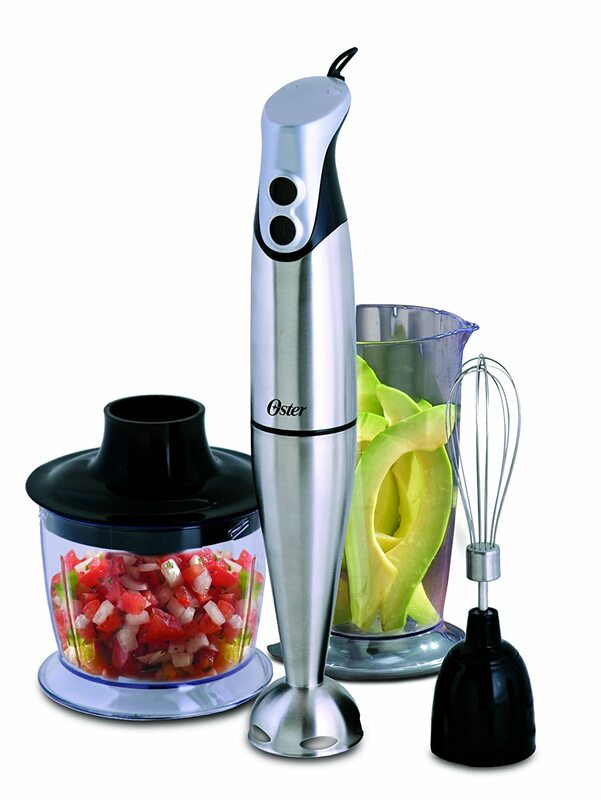 The mini chopper is great for small mincing jobs (small batches of chopped nuts, vegetables or creamy blended dressings). I've had this one for about a year and it's pretty good, but any decent immersion blender would also be a great gift for someone. It doesn't fully replace a full-size blender or food processor (you're not going to get super smoothies or big batches of hummus out of this, as it's not powerful enough), but it's a great first small appliance. Digital thermometers are integral to any kitchen. It's not just about getting a roast or steak perfectly medium-rare, but more importantly, it's about making sure your food is safe to eat. The Thermopop is fantastic for cooking because it reads temperatures a lot faster than most thermometers (5 seconds), and it has a huge range (-50C to 300C), which means you can use it for everything from checking the temperature of your deep freeze (should be a cool -18C), to candy making to checking the temperature of oil for frying. You only need one thermometer for all this! It is also super cute, compact, and comes in a great array of colours (mine is purple), and can switch from Celsius to Fahrenheit (for the imperial holdouts among us). It's no secret that I'm a huge fan of my slow cooker - it has been a lifesaver for me on at least a weekly basis. Between full-time work and managing the mini-foodies, there are many nights where I just need dinner to be ready when I get home (or when hubs gets home). 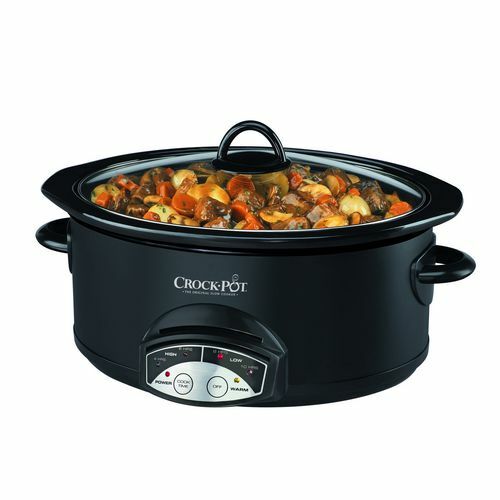 Slow cookers come in lots of shapes and sizes, and with all sorts of fancy features. I like this one, which is a step up from the manual switch basic cooker. It has a timer function (for cooking on low and high) and switches to the "warm" setting when the cooking cycle completes. This is great because most of us are gone from our houses for more than 8 hours when we work - the timer means you don't come home to overcooked mush. This size should accommodate most dishes, but if you live alone, you'd probably want to size down, or size up if you have a large family. These are some of my all-time favourite kitchen splurges. These are things I get a TON of use out of and that I really think are worthy investments, if your budget allows for it. 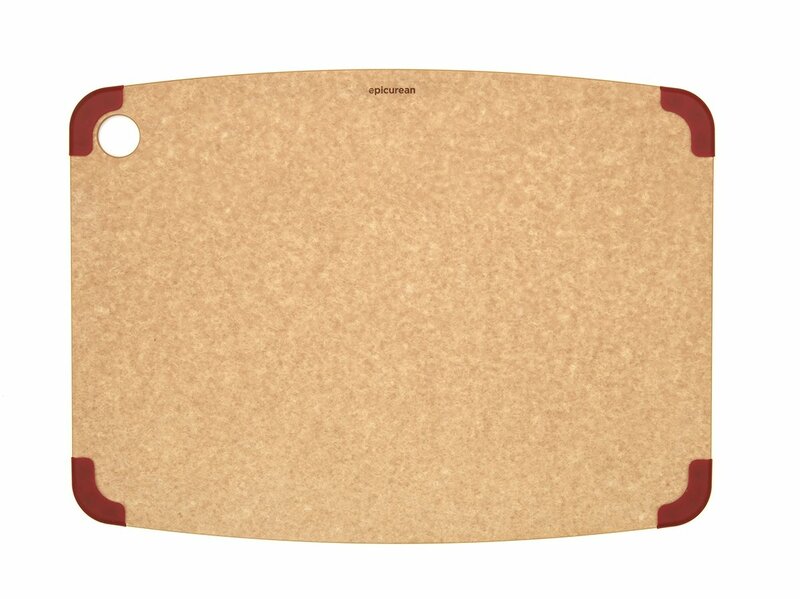 None of these is a necessity, but they would all make amazing gifts for your favourite foodie. It seems completely ridiculous to pay this much money for a silly board. But trust me that it's worth it (although you should hunt around because they can sometimes be found for less - and Amazon always has this weird thing where different colours are different prices). How many times have you cut something on a warped cutting board....or a cutting board that slides across the counter as you try to cut? These boards are amazing. The non-slip edges mean that they stay put. Whatever magical substance they are made of means that they don't warp. And best of all they are manufactured in a sustainable way AND they can go in the dishwasher. I've had mine for about seven years. It's still my favourite board. There are a lot of great knives out there, but this is the one that I love. For almost all of my chopping, I really like the shape of a Santoku knife (I prefer it over a curved blade) and the granton edge (the little divots) help keep food from sticking to the knife. If you're not too superstitious, this is a great idea for chop-happy cook in your life. As with many of my other favourites, there are a lot of other slicers out there. But I've had this French mandoline for about five years now and I think it's amazing. If I'm making sushi or rice paper wraps, it gives me the most perfectly julienned vegetables (carrots/cucumbers). When I want uber thin potato slices for a gratin, it never lets me down. And when I'm in the mood for delicious shoestring oven fries, it is effortless. The parts clean pretty easily (it's all metal so there aren't too many nooks and crannies to get all dirty) and the hand guard works really well. If your foodie friend has a love of beautifully presented meals, they will love this. It saves a ton of time too, if you do a lot of slicing. Be careful though because it can give pretty serious cuts if used improperly. I love this braiser. Seriously, seriously love it. And the price above is pretty much the best price I've seen anywhere. Even hubs, who thinks my kitchen equipment addiction is a bit over the top, admits that this is one item that we use ALL the time (at least 3-4 times a week) and that is amazing to use. I use it for spaghetti sauce, braises, pan-roasting, casseroles, etc. I love that it goes from stove to oven to table and it cleans up really well. I brown stuff onto it ALL the time, and it generally deglazes easily (making amazing sauces) or comes off with some hot water and a little bit of scrubbing. This food processor is a true kitchen workhorse. I love LOVE using it for things like energy balls, hummus, bread dough (even smoothies in a pinch!). I like the attachments - it makes short work of any big grating or slicing job, and the small bowl is really handy for smaller batches. The only downside is that it's a pain to clean. It takes up half of the top rack of my dishwasher. But it is a HUGE timesaver for so many cooking projects. I had a competitor brand for a while, but it didn't last nearly as well as this one. So the Cuisinart gets my vote! It's amazing! A fancy blender is one of my most recent purchases (got it in August), but it's one that I have really, really been enjoying (according to the display on the front, I've used it 260+ times). I make a ton of smoothies in the morning and the Blendtec effortlessly blends up my concoctions. I've also used it to blend soups, pulverize dried mushrooms and a bunch of other things. The reason I picked the Blendtec over similar competitors is that the Blendtec is shorter, and is really easy to clean. I love that the container is all one piece (no blades to wash separately!) and the blades themselves are dull, so you won't cut yourself if you're cleaning them out. This is a complete luxury and I love it. As for me....what's on my own culinary wish list?